For more specific email filtering needs, Email Parser can run a custom script that check whether a received email will be processed or not. This script can be set up under the filter “advanced settings”. 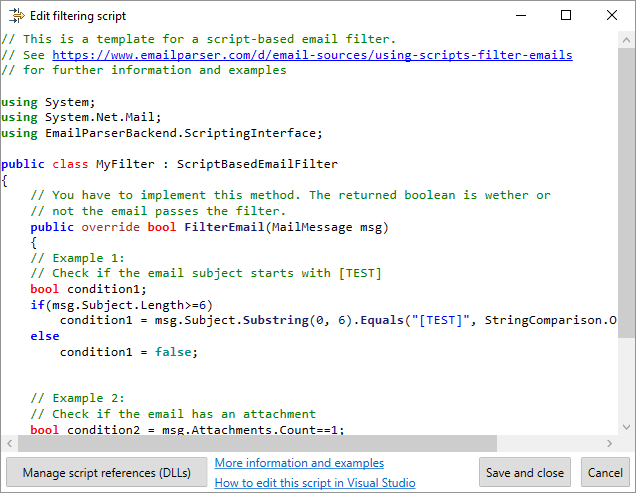 To write your own script-based filter you need to implement the function FilterEmail() that receives a standard System.Net.Mail.MailMessage object as parameter. 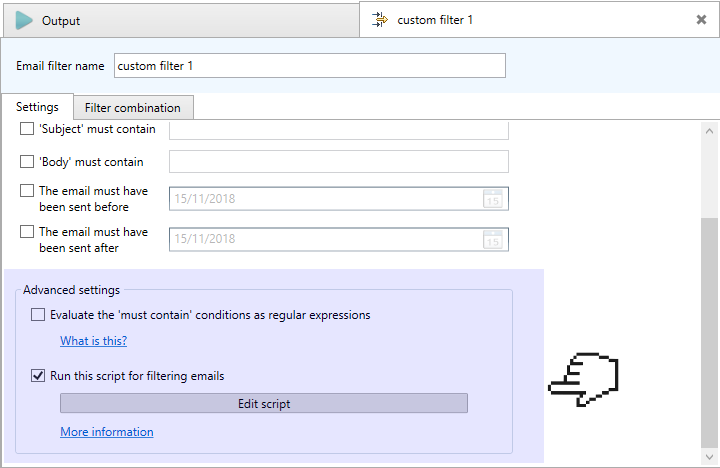 If the function returns true means that the email passed the filter. False means that the message does not pass the filter. It is recommended to write and test your script-based filter using the Email Parser scripting SDK. Much more convenient than editing the script directly in Email Parser.